If you’re tired of carrying around a bulky wallet in your bag or back pocket, technology finally has an answer for your problem. Meet Wocket, the first smart wallet that stores all your cards without having to carry your cards. Most of us have a couple of cards that we use. Instead of carrying all of these around, the Wocket lets you scan them into one device to be pulled up as you need them. It works with all of your cards, you simply slide them through the card reader and it saves the information on the device. To use the cards, you select the one you want in the store, scan the included “blank” and use it as you would any normal card. Everything is saved on the device, no cloud syncing. To protect your private information, it’s locked with biometric security so you and only you can access your information. Basically, even if it is stolen, it will just be a brick to whoever picks it up. 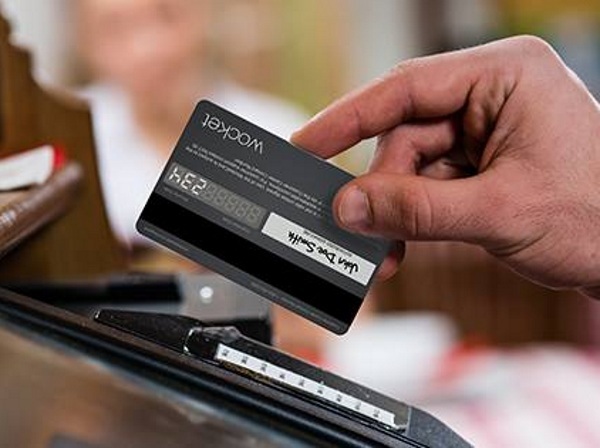 If you want to simplify your wallet, Wocket is there for you and costs $179.